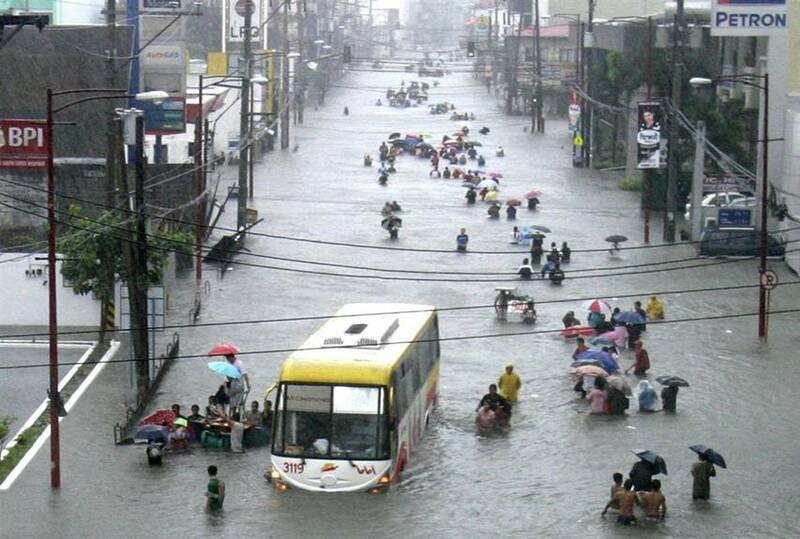 People are stranded in Cainta, province of Rizal , Eastern Manila. 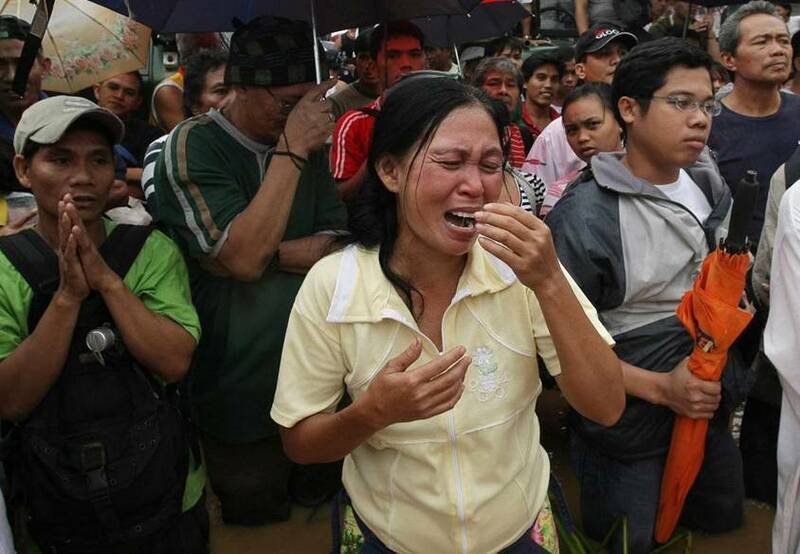 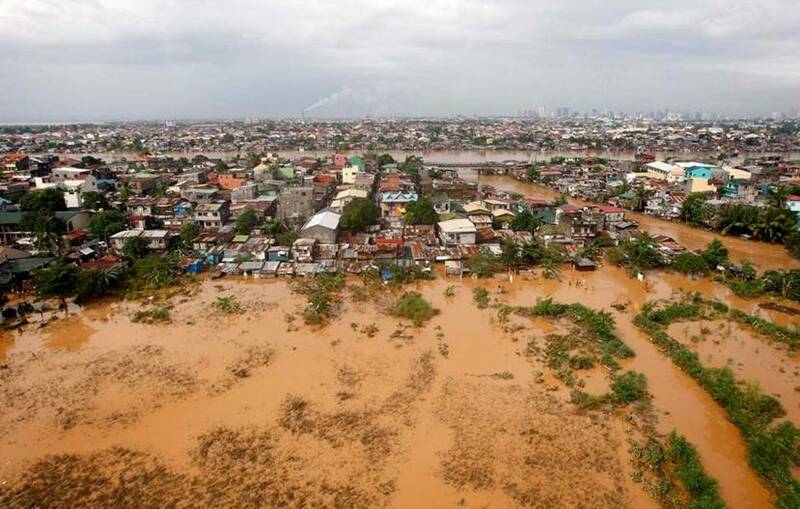 Aida De Leon grieves in Pasig City , east of Manila. 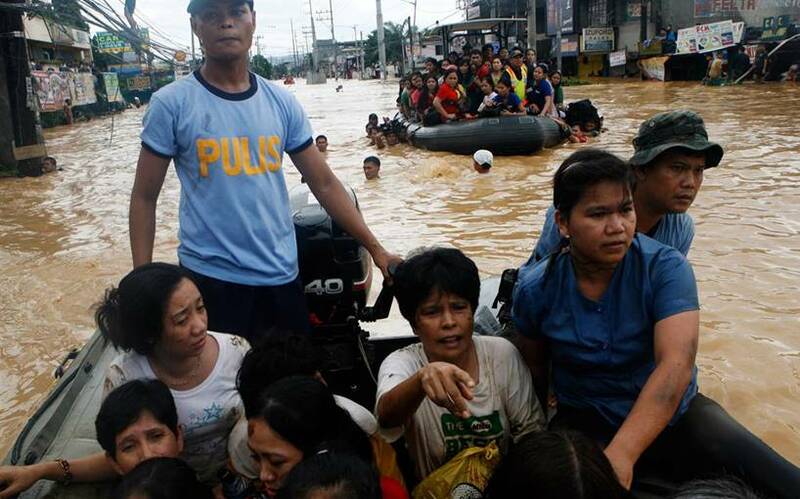 Residents are evacuated by police boats during flooding in Cainta Rizal, East of Manila. 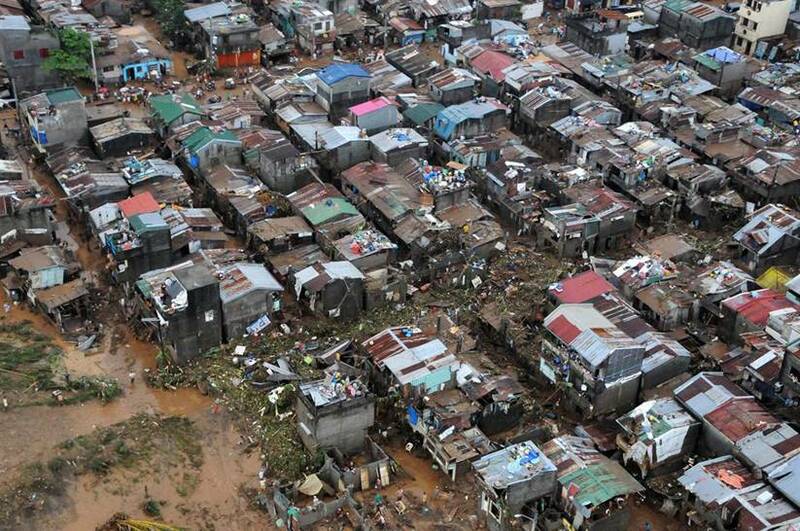 A Philippine Air Force aerial shot shows damaged houses in Marikina City , Metro Manila. 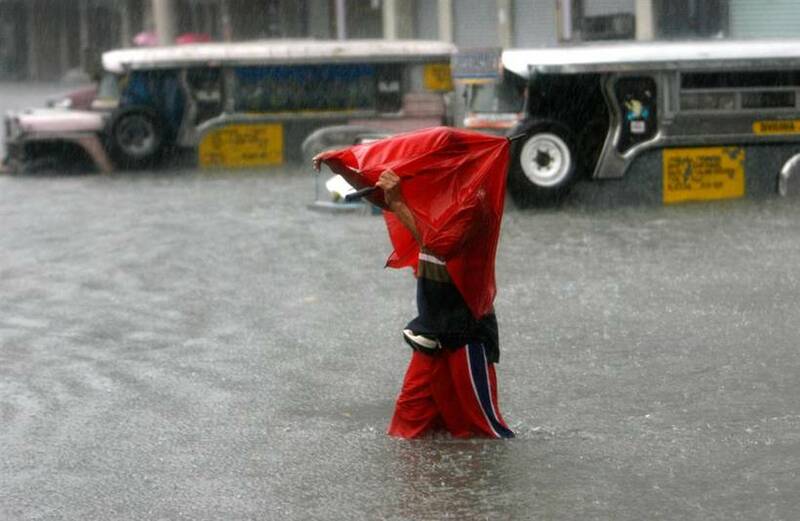 More than 70 people were killed, Manila was blacked out and airline flights were suspended as a powerful tropical storm battered the main Philippines island of Luzon. 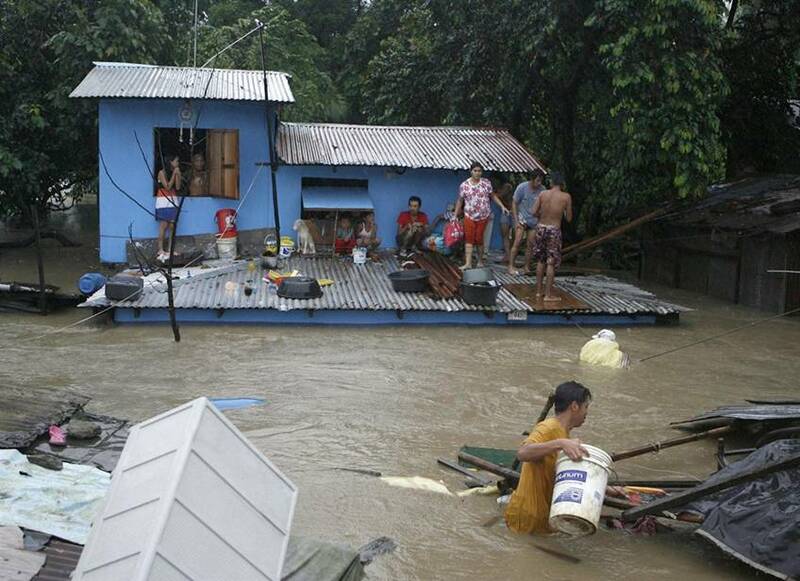 Residents wait to be evacuated from a partially submerged house during flooding in Bocaue, north of Manila. 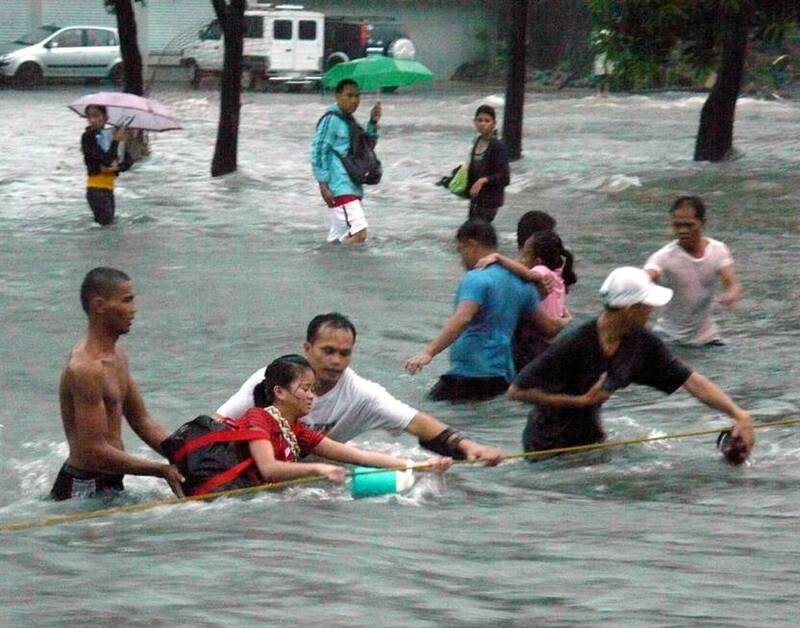 Residents cross a flooded street with the use of a rope in Quezon City. 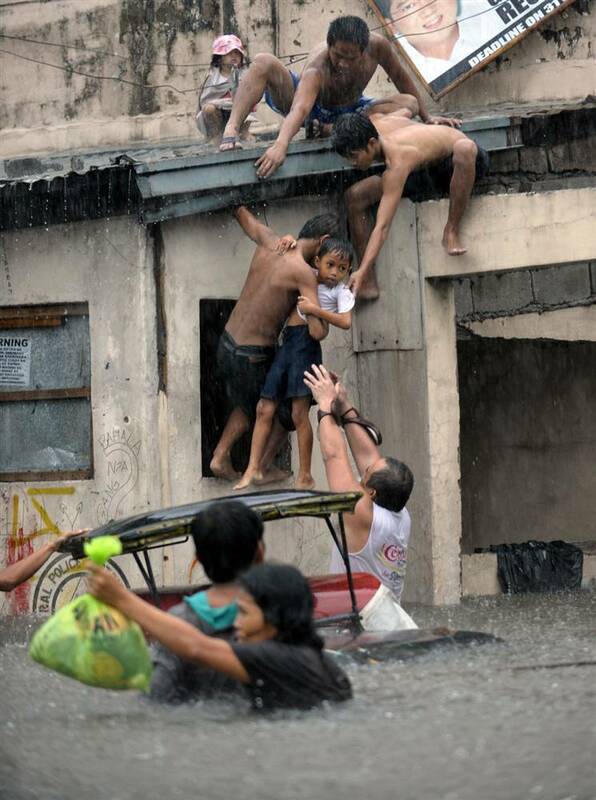 A boy is lifted onto the roof of a building to escape the flooding in the Quezon City suburban of Manila . 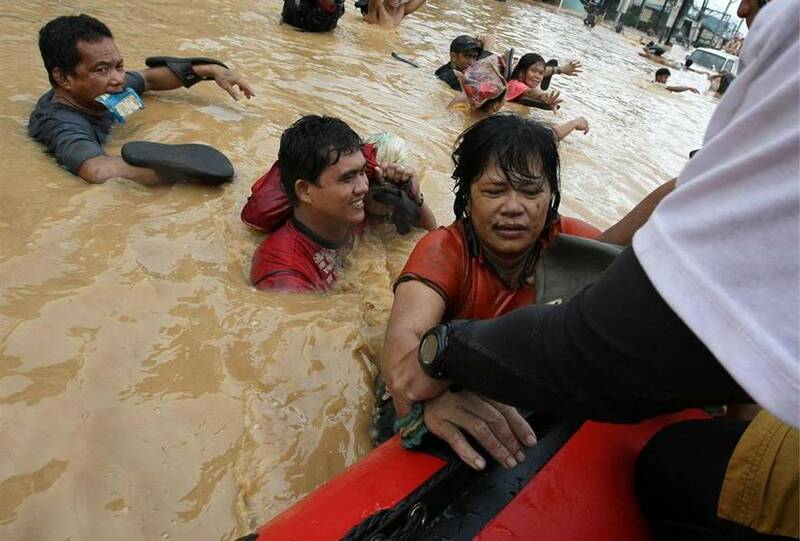 Nearly a month’s worth of rain fell in just six hours Saturday, triggering the worst flooding in the Philippine capital in 42 years, which stranded thousands on rooftops in the city and elsewhere. 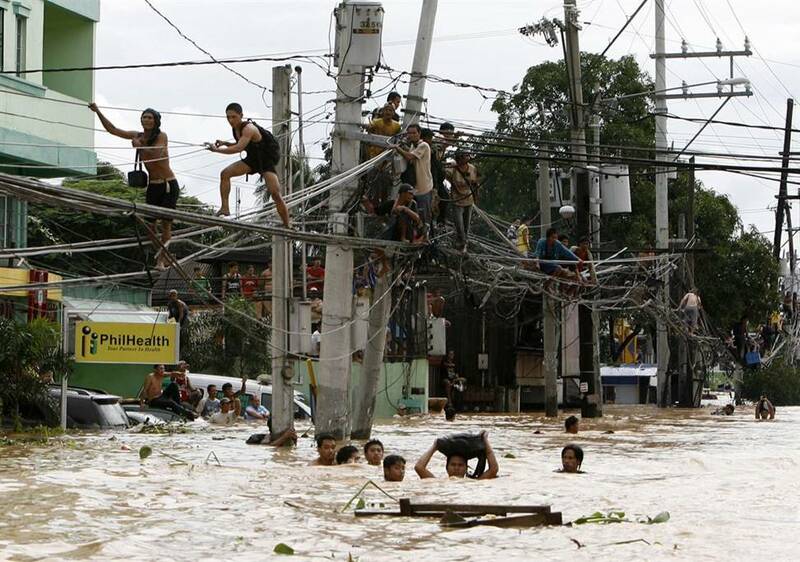 Residents clamber on electric wires to stay out of floodwaters while others wade neck-deep in Cainta Rizal, east of Manila. 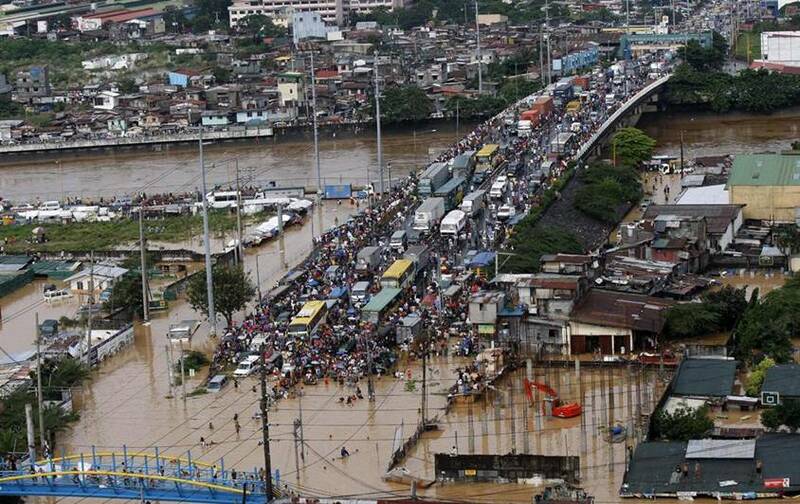 Commuters wade through waist-deep flood waters after heavy rains dumped by Tropical Storm Ketsana (locally known as Ondoy) on Saturday, Sept. 26, in Manila , Philippines.